A Willian brace helped Chelsea beat Stoke City for their 13th consecutive Premier League win to equal Arsenal’s record for most successive victories within the same season. Gary Cahill opened the scoring from Cesc Fabregas’ 100th Premier League assist – only the fourth player to reach the milestone – before Stoke equalised via Bruno Martins Indi’s first PL goal 56 seconds into the second half. 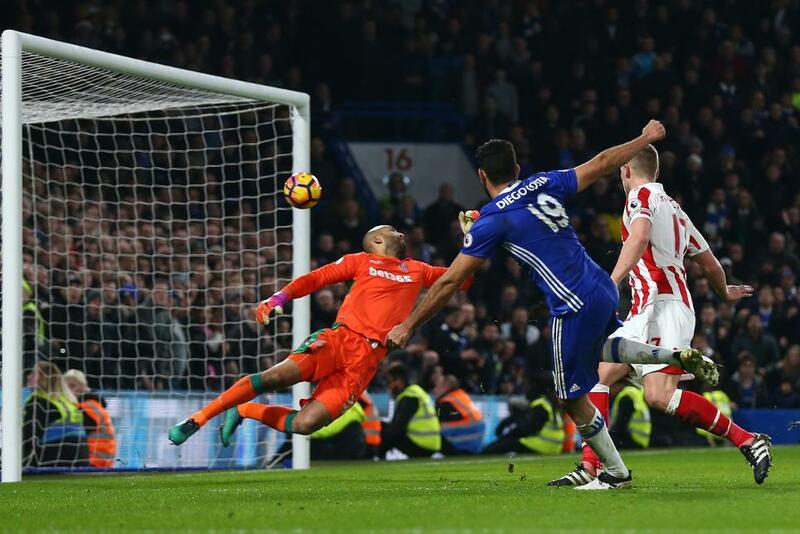 The Blues made it 2-1 when Willian fired through the crowd after Eden Hazard’s cushioned pass, but Stoke levelled for the second time through Peter Crouch. Chelsea hit back immediately to take the lead for the third time as Willian rifled into the roof of Lee Grant’s net, while Diego Costa completed the scoring on his return from suspension with his 14th of the season.